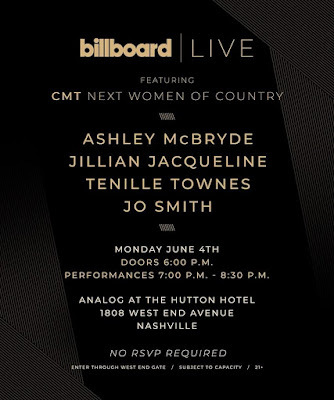 Billboard Live Featuring CMT Next Women of Country! 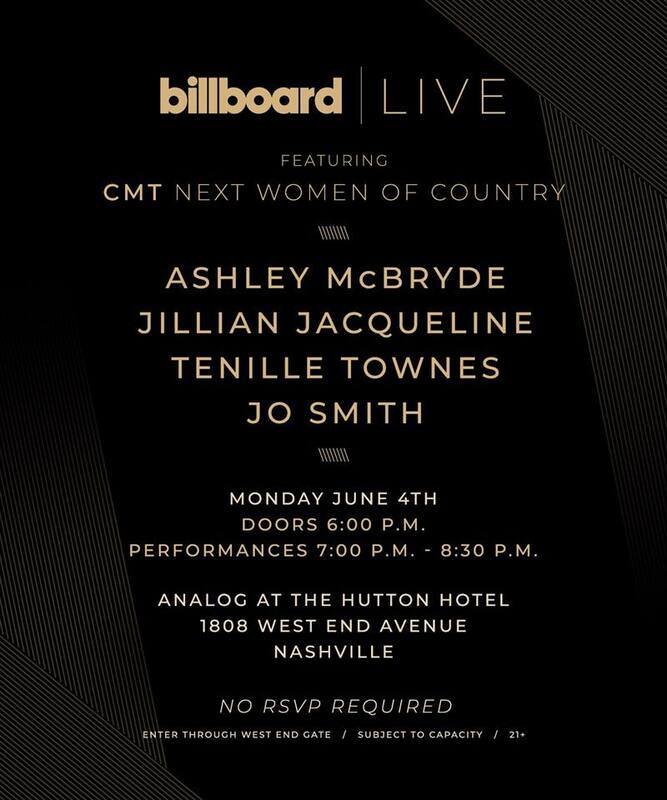 Billboard Live will present CMT's Next Women of Country, Ashley McBryde, Jillian Jacqueline, Tenille Townes, and Jo Smith at Analog at the Hutton Hotel on Monday, June 4, 2018 at 7 PM (doors at 6 PM)! This show is 21+ and free and open to the public!